Our Michigan dog bite lawyers represent victims of dog bites and attacks. These attacks can cause significant injuries and cause the victim to incur substantial medical expenses. In cases involving a dog bite, the victim is often left with a visible and disfiguring scar. 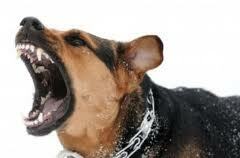 In other attacks, the dog may knock down the victim and cause serious orthopedic and other injuries. In many of these attacks, the victim can sue the dog owner for the injuries suffered in the attack. 1. Common law, based upon negligence. 2. Common law, based on strict liability. 3. Statutory, imposing strict liability upon the owner. These dog bite laws are best explained by the jury instructions that are given to the jury after the evidence is introduced at a trial. The explain the statutes and laws in plain English for the jury to understand so that they can fairly render a verdict based upon the evidence. We have a state statute that provides that the owner of a dog that without provocation bites a person while that person is [ on public property / lawfully on private property ] is liable for any damages suffered by the person bitten, regardless of the previous viciousness of the dog or whether the owner knew of that viciousness. that the defendant was the owner of the dog. Your verdict will be for the plaintiff if you decide that all of these have been proved. Your verdict will be for the defendant if you decide that any of these has not been proved. There are only a few defenses to a dog bite or attack. These include if the dog was provoked by the victim prior to the attack and if the victim was a trespasser on the dog owner’s property at the time of the attack. The Michigan dog bite laws on these defenses are below. When I say "provocation," I mean any action or activity, whether intentional or unintentional, which would reasonably be expected to cause a dog in similar circumstances to react in a manner similar to that shown by the evidence. A person is lawfully on the property unless the person has gained lawful entry upon the premises for the purpose of an unlawful or criminal act or is a trespasser. A person is lawfully on the property of the owner of the dog if the person is on the owner's property in the performance of any duty imposed upon [ him/her ] by the laws of this state or by the laws or postal regulations of the United States. Our dog bite attorneys in Michigan have extensive knowledge of these dog bite laws and how to use them to win substantial settlements and verdicts for our clients. If you or someone you know has been injured in a dog attack and are seeking the best possible legal representation, you should contact our office immediately to speak with one of our lawyers. There are strict time deadlines for filing lawsuits under these Michigan dog bite laws so it is important that you contact our office as soon as possible after the incident. If you or a loved one have been viciously attacked or bitten by someone's dog, you may have a right to receive compensation for your injuries. Call our award winning legal team today at (800) 606-1717 and an attorney will be available to speak with you right away. We will listen to your story and determine if you have a claim to pursue. Of course, we do not charge any legal fees unless we are able to obtain a settlement for you. Call us today to get started!